Cheap Mama Chick: Try Spark Box Toys (Like Netflix for Toys!)! Return. When you are done, send the box back and receive another! Always free shipping! Safe & Clean! All toys are sanitized, inspected and repackaged using organic products. 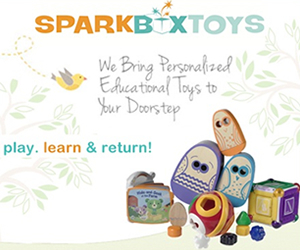 Spark Box Toys is sustainable, philanthropic and eco-friendly. Best part is ... all of the toys will find their final home in the neediest schools around the country. Try is free for the first 14 days (cancel within the first 14 days for a full refund) and also score $10 off your first month with a min 2 month commitment (use code SAVEME10) from Spark Box toys HERE!